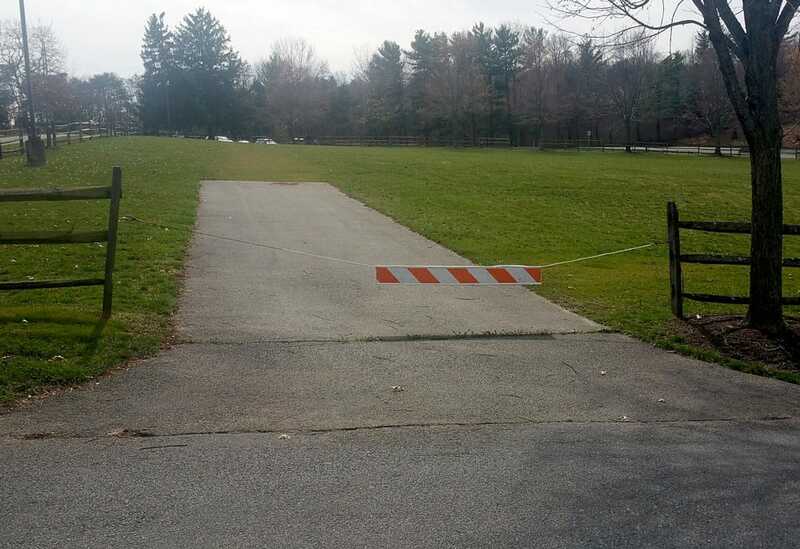 Wolf Trap National Park is a world-famous performing arts center in Fairfax County, Virginia. 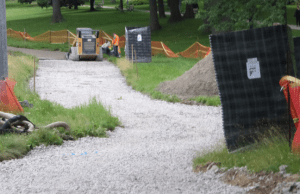 Their incredible mix of indoor and outdoor space attracts talent and visitors from around the world. 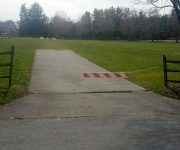 Historically Wolf Trap has used grass for its parking surface, but increased traffic has lead to issues with wear and erosion as well as storm-water runoff deficiencies. 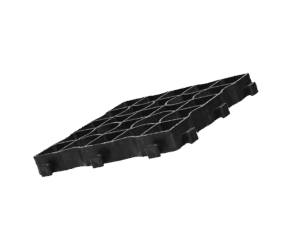 It was imperative that the design of Wolf Trap was kept in tact as the updates took place. 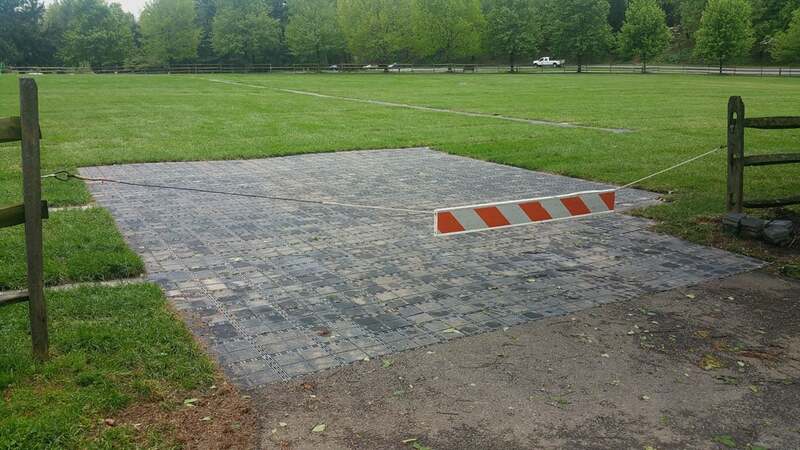 The grassed parking area is a showcase element they weren’t prepared to lose. 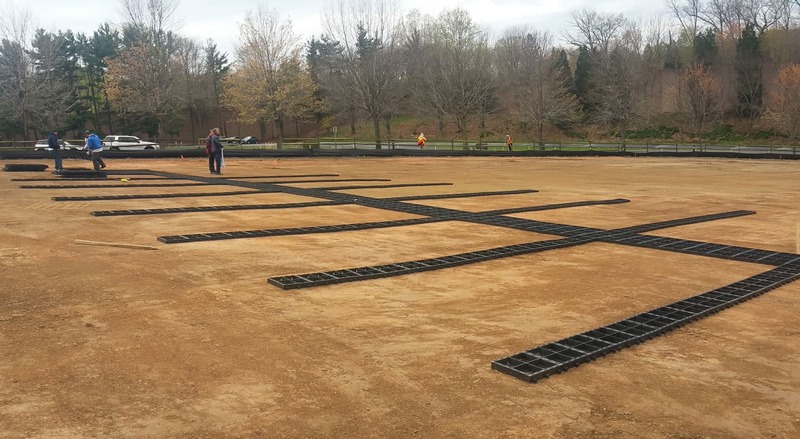 Ecoraster was the natural choice for this project as it could provide a strong foundation and improve permeability to reduce the problem of stormwater runoff Wolf Trap was experiencing. 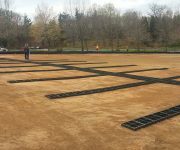 The ground was prepared by removing the top sod and installing Ecoraster beneath the surface. 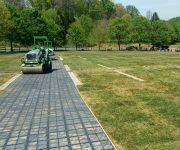 Ecoraster was placed directly on top of the soil to create a barrier between the ground and the sod. 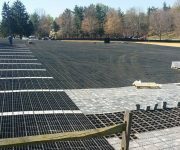 With more than 70,000 square feet of land to cover, Ecoraster significantly reduced the amount of time required for project completion. 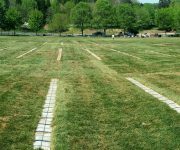 Once the Ecoraster grid was installed, sod was immediately able to be placed on top. 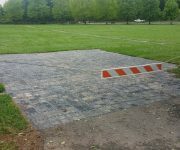 The sod completely covered the Ecoraster grid maintaining the look and feel that Wolf Trap has been known for. 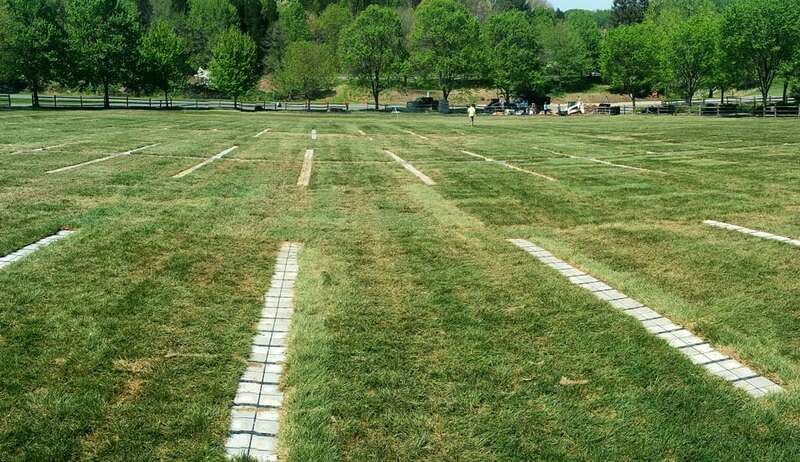 Wolf Trap National Park was proud to have completed the largest project of its kind in the US. 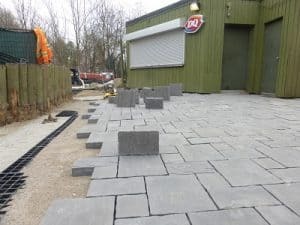 With Ecoraster at the heart of the solution, areas once covered with asphalt are now permeable, and the grassed surfaces are stronger than ever. 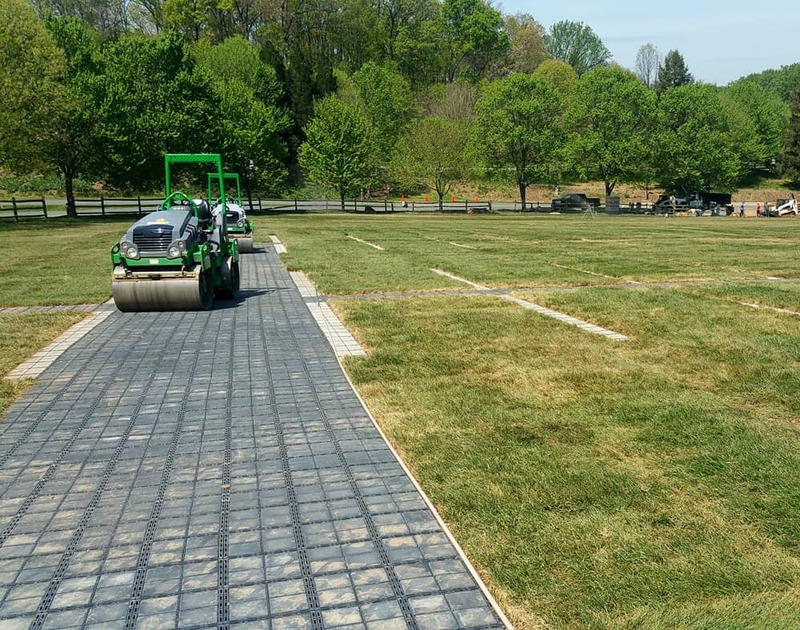 The team at Wolf Trap can now showcase that not only was storm water runoff reduced, but they were able to use a product that had a proven track record in sensitive areas like watersheds, and that it was made of 100% recycled plastic. 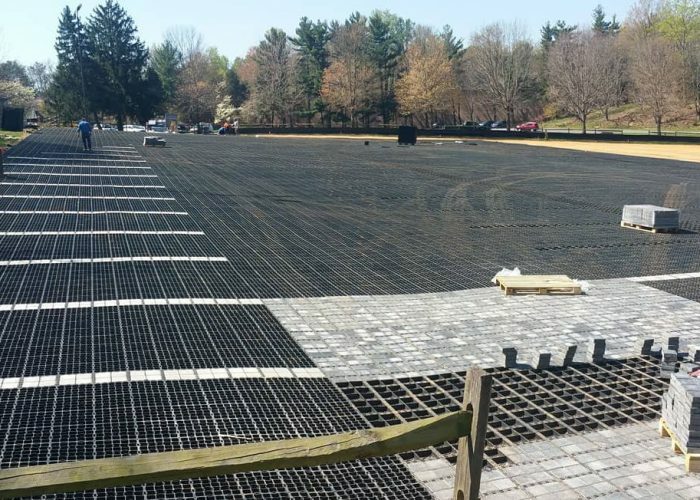 Wolf Trap engaged Ecoraster Distirbutor Mid-Atlantic Grid & Paving Systems to complete this project.